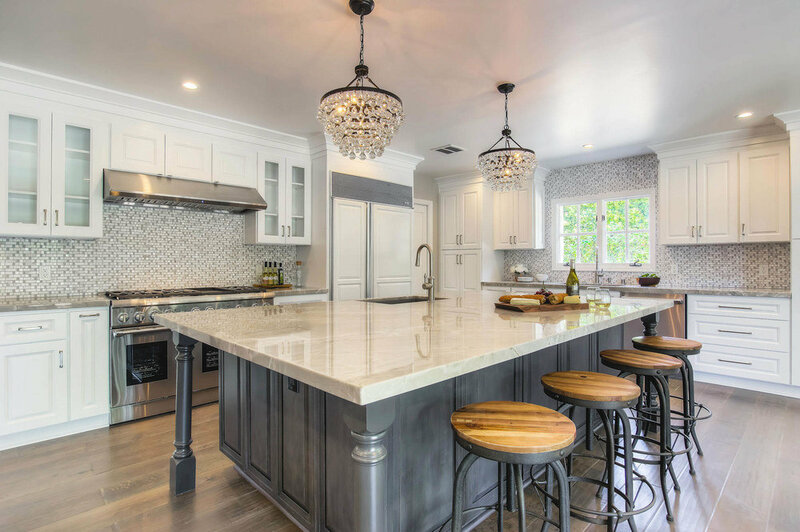 This large remodeling project for a house in La Canada, in the San Gabriel Valley, is still one of our favorite projects to date! 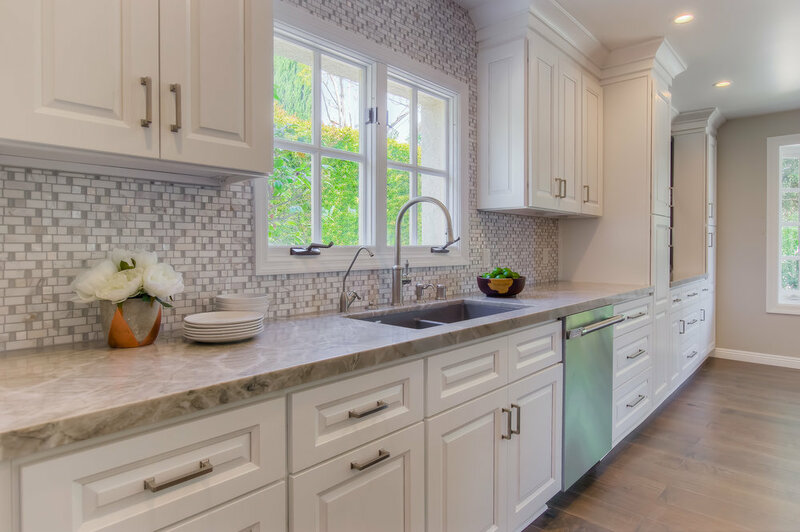 This kitchen transformation took a lot of hours of design and engineering since the goal was to open up several areas of the house in order to create this incredible kitchen space. 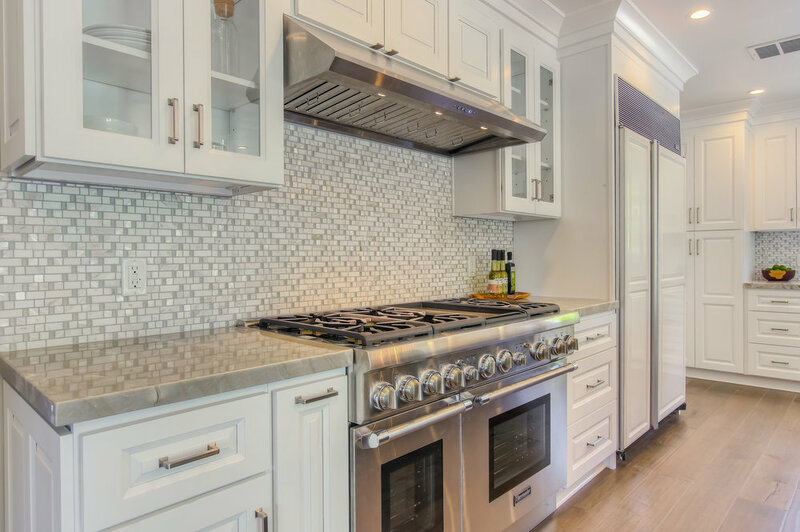 We made sure to include all the items on our client's wishlist, from the professional stainless steel appliances, the large Island with sink and microwave, the second sink against the wall, to the large and spacious cabinetry. Every single detail was carefully selected and implemented by Carissa, one of our great designers and project managers. Click below to check out the full project and before & after photos! Large kitchen remodel with two tone kitchen cabinets, quartzite counter tops, 2 sinks, large professional appliances and custom fridge panels and engineered wood floors.